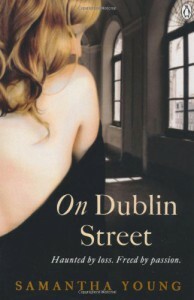 On Dublin Street is a book I was wry of trying. It has many, many 5 star reviews (such as this one), so I was super afraid it will disappoint. But, oh boy it didn't. It really didn't. I enjoyed every bit of the ride, and I'm looking forward to reading more of Young's stories in the future!